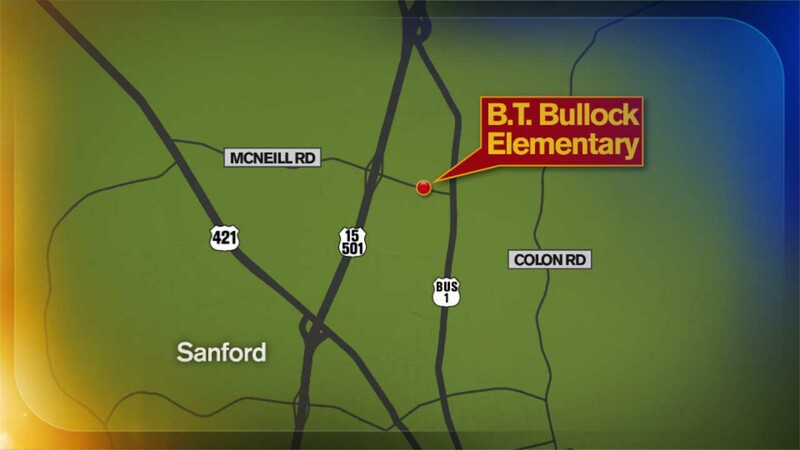 SANFORD (WTVD) -- A 1st grader will be charged for attempting to assault a teacher in Sanford, the Lee County Sheriff's Office announced Tuesday. Deputies said the student tried to assault the B.T. Bullock Elementary School teacher with a pair of scissors. Authorities also said the student was throwing items around the classroom in an attempt to damage school computers. The student was restrained and removed from the classroom, authorities said. Juvenile petitions will be filed with the N.C. Juvenile Justice for assault and disorderly conduct. Authorities did not release the names of the student or the teacher involved.